SecureAuth IdP Version Affected: Not Applicable. This is useful in case a customer wants the default landing page to redirect users to a different realm, such as the secure portal. 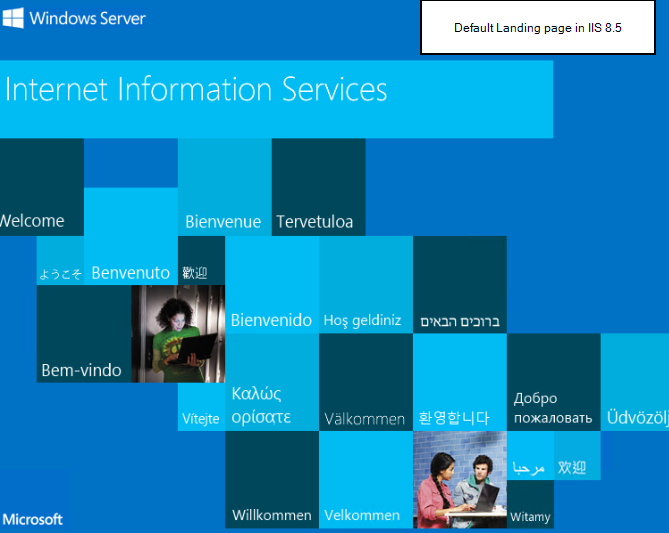 By default, if a user goes to the default IIS landing page (e.g. https://secure.auth) they will only see a landing page that reflects the version of IIS they are running. Use this guide to redirect users to a different realm. Make the proper changes to the iisstart.htm file to redirect users to the desired realm or page. Go to D:\inetpub\wwwroot and locate iisstart.htm. Copy it, but don't paste yet! Rename the iisstart.htm file to issstart-old.htm. NOW you can paste the original file. This way makes sure you keep the old config around in case of a mis-configuration with the new settings you're about to do. That's it. The next steps are completely optional.